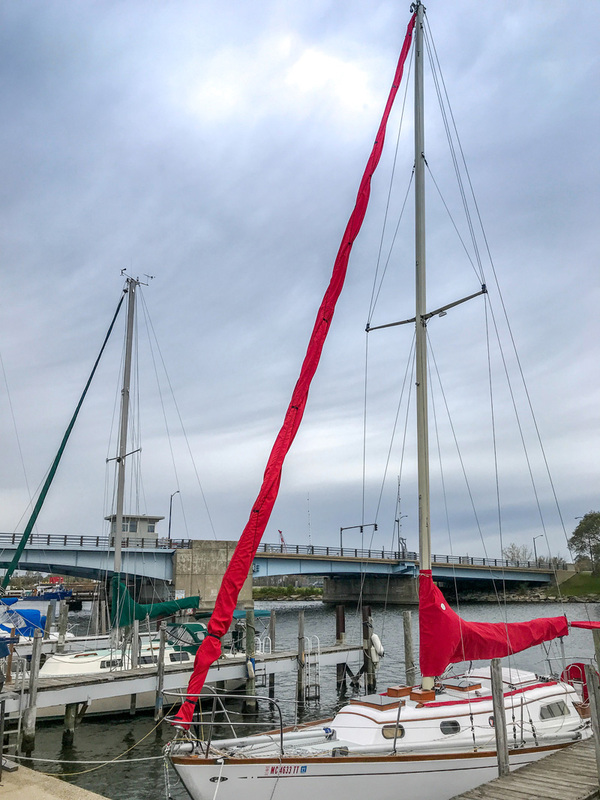 Keep your furled genoa sail protected from the elements with a high-quality DIY genoa sleeve. We’ve created a Genoa Sleeve Kit that contains all the supplies you need to sew a well-fitting and durable sleeve. The harshness of the sun, rain and pollution takes a toll on your genoa sail, so it’s important to keep it protected with a high-quality sleeve. The problem with standard genoa sleeves made with the traditional sock method is that they are difficult to lash, because the lashing lines can’t be tensioned near the top of the sleeve where you need tension the most. A flogging genoa sleeve will quickly deteriorate and, in some cases, can last less than a year. With our Sailrite® Genoa Sleeve Kit, there’s no need to add extra lashings. Our ingenious lacing system almost completely eliminates sleeve flogging in strong winds. The kit is also uniquely designed to allow the sailor to get the maximum performance from his or her sail. With our design, the sacrificial cover that is usually sewn on the leech and foot is not needed. Our detailed how-to video gives you complete, step-by-step instructions on assembling your kit. Our kits come in four size options and four color options so you can find the kit that best suits your needs. The kits feature Top Notch® 9 fabric, a solution-dyed polyester that won’t fade in the sun and boasts excellent water repellency and breathability. There’s no right or wrong side to the fabric, which makes assembly and sewing a breeze. Check out our selection of Genoa Sleeve Kits today! Sailrite.com has all the tools and supplies you need for all your marine DIYs.